If you read our post on 5 Easy Ways to Teach Kids Respect for Dogs, you may be interested in this post too! Here are 5 easy-read books that will teach your children how to properly interact with dogs. If pets could talk, what would they say? Maybe “Fur is for petting, backs are for scratching, noses are for nuzzling... and tails are not for pulling!” Toddlers and pets belong together—as long as toddlers don’t chase, grab, squeeze, yank, and tease. In simple words and delightful illustrations, this book teaches the basics of kindness to animals: careful handling, awareness, safety, and respect. It also includes helpful tips for parents and caregivers. Children encounter dogs wherever they go: in the park, on the sidewalk, at their friends’ homes. Sometimes it’s love at first sight, on both sides—but not always. The right way for a child to approach a dog to ensure that the first connection is a complete success begins with this question to the owner: “May I pet your dog?” Using Harry the dachshund as a gentle guide, Stephanie Calmenson addresses this valuable yet overlooked topic with care and precision, and Jan Ormerod’s warm illustrations portray a wide variety of breeds and personalities and depict situations that are realistic but never scary. Unique and straightforward, this is the essential guide to bringing children and dogs together—for kids and parents alike. A primer, an owner’s manual, a field guide, and more, My Dog! is the complete book for every child who has a dog―whether it’s a brand-new puppy or adopted mutt, or a beloved pooch who’s been in the family for years. And it couldn’t be more kid-friendly, with its customizable cover, tabbed chapters, and a pull-out dry-erase dog care chart. My Dog! covers everything from the basics of handling, feeding, and grooming to history, lore, and the kinds of fun facts kids will always remember. It tells kids how to train their dogs with illustrations, has a "How to Speak Dog" section to insure that kids and dogs remain best friends, teaches kids why a raised, wagging tail doesn’t always mean “I’m happy”, and it even has a recipe for Carob “Cocoa” for kids and dogs to bond over after a brisk winter walk. Meeting a new dog is exciting, but it can also be scary. This humorous how-to manual shows kids the best ways to interact with unfamiliar dogs, providing helpful tips about all sorts of dog behavior. Children often don't understand what dogs' actions mean and can misinterpret a threatening signal for a friendly one and vice versa. Kids and parents will return to Wendy Wahman's playful illustrations again and again for useful reminders: Slow Down. Stay very still. And remember, don't lick the dog! Do you speak dog? How to Speak Dog is a fun, informative, and photographically driven book that helps kids understand what their dog is trying to tell them through body language and behavior. Super-engaging dog photography, along with National Geographic Kids' signature bold and bouncy design, helps illustrate the key canine concepts. Quick-hit tip boxes, fun facts about mankind's best friends, and informative sidebars from the experts enliven the text. Readers young and old will respond to the irresistible call of the canine in this delightful book that will warm hearts and wag tails everywhere--a must-have in every home where pups are looking for love and understanding. Have you found any books, not mentioned, that helped your child learn to interact with dogs? Drop a comment below! 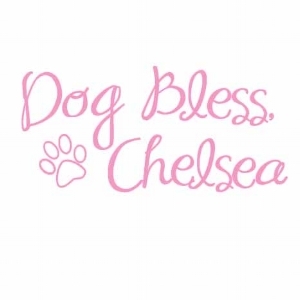 #dogmom truth with Supreme Source!